It’s that time again! 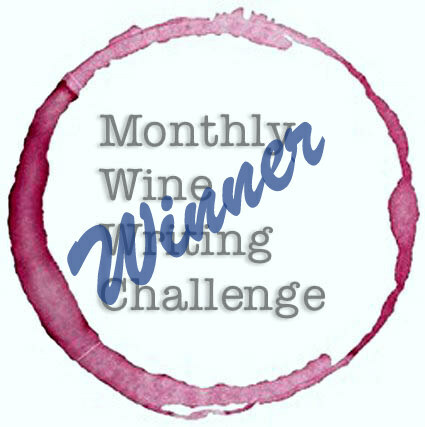 The Monthly Wine Writing Challenge! The theme for #MWWC27 is “Bubbles.” Like probably every other person out there in the blogosphere, my mind immediately went to Champagne, or any other sparkling wine. There are many to choose from; Cava, Prosecco, Cremant, California Sparkling, and so on. Then, like probably every other wine writer out there, I thought: “too obvious; everybody will be writing about that.” Ah, but then again, like Vizzini, from The Princess Bride (only the best movie ever made), perhaps I can outwit my opponents by doing exactly what they expect me to do! But lest I get involved in a land war in Asia (watch the clip, it’ll make sense), I decided to write from what I know and let the words flow as they may. This is a decision made largely due to the fact that I have not a lot of experience with wines that tickle the nose. You see, many members of my family get headaches after drinking sparkling wine, so I don’t often buy it. We can debate whether the bubbles cause the headaches, or that they result from some other cause. The fact remains that sparkling wine rarely makes an appearance in my home. I do try to keep a bottle of Prosecco or Cava on hand for those unexpected special occasions, or a spontaneous brunch in need of a Mimosa, but that’s about it. So what is there to say about bubbles, then? Life. We humans are a predictable lot. We like routine, and take comfort in the familiar. We take the same route to work every day. We shop at the same stores, and eat at the same restaurants, because we know what to expect. I even know people who will order the same thing off a menu every time they go to a particular restaurant. They don’t like change, or trying new things. We like to live our lives in big, comfortable, predictable bubbles. Boring! Yet many people approach wine in the same way. While there are at least 10,000 grape varieties in the world, realistically about 1,300 are used in commercial wine production. So why, then, do so many people “only drink Chardonnay”? Or Cabernet Sauvignon? Or Pinot Noir? Because that is the comfort bubble in which they live. They know what to expect. They are predictable. These people are really missing out! There is so much variety out there; so many flavors to experience and enjoy, why limit yourself? I love variety. When I go to a favorite restaurant, I like to try different things each time. It’s the same with wine. Sure, I have my favorite, go-to varietals, but why limit oneself? I love variety! Sure, a Napa Cabernet Sauvignon will pair with my steak, but what about a Chilean Carménère? Shall I open a familiar Sauvignon Blanc this warm summer evening, or a different and exciting Grüner Veltliner? I recently submitted my application to the Wine Century Club. Yes, it’s a real thing! All you have to do for membership is try at least 100 different varietals. And you know what? Blends count! It’s really not that daunting a challenge, if you are willing to get out of your bubble and try new things. Life bubbles are limiting; restricting. They only allow you to experience what is within reach and safe. I encourage you to step out of your bubble and try something new. The next time you are in your local wine shop, or better yet, the unfamiliar wine shop in the next town over, instead of reaching for that familiar bottle of Chateau Drink Often, try something adventurous and new. This is my challenge: Explore. Experience. Enjoy life outside your bubble. Love variety! We need reminders sometimes, but it’s big fun falling for a new flavor! Cheers! I agree! There’s always something new to discover. Agree it is the best movie ever!!!! Chateau Drink Often – love it! Thanks, Dana! Best movie ever!